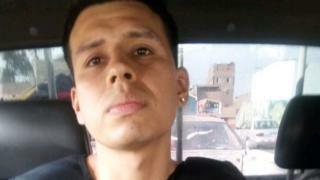 Authorities in Peru have recaptured a prisoner more than a year after he escaped from jail by leaving his twin brother in his place. Alexander Delgado had been serving a 16-year sentence for child sexual abuse and robbery in a prison north of Lima. When his twin, Giancarlo, visited him last January, Alexander drugged him, changed into his clothes and walked out of jail. The suspected swap was confirmed after Giancarlo's fingerprints were taken. After 13 months on the run Alexander Delgado was arrested on Monday in the port city of Callao after the Ministry of the Interior offered a reward for information leading to his capture. He is now expected to be moved to a maximum security prison in the southern highlands. While Alexander was at large, his brother Giancarlo was arrested and investigated on suspicion of having collaborated with his twin. But he was not charged and has now been released. Speaking to local media after his arrest, Alexander Delgado said he used the ruse to escape "because I was desperate to see my mother".